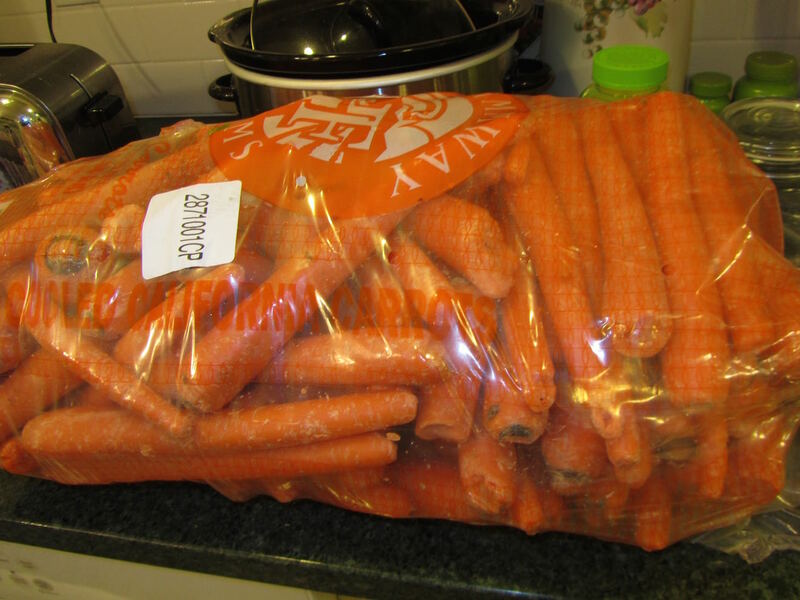 If buying a 25-lb bag of carrots was as simple as bringing them home and popping them into the fridge, I suspect that stores would sell a lot more carrots package this way. However, as with many methods for saving money, this one comes at a cost in convenience, and upfront time taking care of this large amount. I don't have a shelf in my fridge that is large enough to accommodate this size package. I have to repackage 25 pounds of carrots into 5 pound bags. But also, there are always some carrots that will rot or mold quickly, if not taken care of right away. They need to be peeled, trimmed and chopped into sticks or dices, and stored ready to use in the fridge or freezer. Last Friday, I spent an hour doing just that. I bagged up about 15 pounds of carrots that were in good condition, for use in a few weeks. And I peeled, trimmed and cut into sticks another 10 pounds, to use right away. My end result with these carrots was 2 good-sized bowls of ready-to-eat carrot sticks. An hour is a lot of time for my aching shoulders, to work over the counter. But the pay-off comes in both the savings on the carrots (a savings of about 14 cents per pound, over buying in 5-lb bags), and in my future convenience for preparing meals. I can instantly add carrot sticks to lunches and dinners. Or, I can toss some with oil and roast in the oven, for an easy side dish. Or, I can simmer with onions, ground unsweetened coconut, curry powder, garlic powder and salt, then use my immersion blender for a super easy curried carrot soup (my lunch on Saturday). The inconvenience of dealing with so many carrots on Friday will level out with the convenience in future meal prep. I only find these large bags in a few places around town, our restaurant supply, Cash & Carry, produce markets and stands, and WinCo. I would imagine that Costco and Sam's Club would also carry this size bag. They are sometimes referred to as juicing carrots. How long will this bag last us, you wonder? In cool weather, our carrot consumption is high, with homemade soups, roasted carrots, carrot salad and carrot sticks as one of the few fresh veggies we keep on hand. I think this bag will last 2 months, for us. At 32 cents per pound, I will substitute cooked, pureed carrots for pureed squash and pumpkin in many baking recipes. For Thanksgiving dinner, I'm experimenting with preparing ahead, then reheating at the last minute, curried carrot soup, for a simple starter to the meal. And most of our fresh salads will now heavily feature raw carrots, such as carrot-cabbage slaw, carrot-raisin salad, and carrot-apple Waldorf salad. Do you have any favorite carrot recipes you can add to my growing list? Love, love, love carrots! Dad grows many many rows of carrots. We tell him there's too many but he digs and eats the youngest carrots because my parents love carrots also. All summer long, we dig and we can really see the sizes change until they are huge and bright orange. My hubby and I scrub, peel, dice, freeze,slice and eat. And then all of a sudden the carrots are gone and Dad has planted just enough. I'm getting worried though how long this will last. Mom isn't well because of facial nerve pain and the meds she is on make her unsteady so now she walks with a walker and lies on the couch most of the day with pain. Dad is getting tired becasue caring for her is difficult. I won't ask them to move because that would truly kill them and offering to help is best done by visiting regularly. They want to care of each other and I have to respect that. I see your dilemma. I'm sorry about your mom's pain. That must be hard on her, and hard for your dad, too. All of those carrots, for most of the summer, they sound delicious! A lot of work, but so much tastier than store carrots, especially when they're young and sweet! God has so many ways that he blesses us! I had a jumbo (but not ginormous)bag of organic carrots in the fridge this month. (Got a good deal, but can't remember where.) 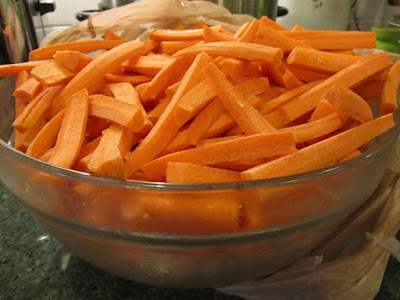 I make a lot of carrot-raisin salad (or variations) with them, because DH likes that. But yesterday I finished off most of the package in a big batch of carrot/pumpkin/sweet potato (garnet yam) soup. I think we've discussed this soup before. It has garlic, ginger and turmeric (all great anti-inflammatories, if I recall right), plus some coconut milk. Tasty! that soup sounds delicious! And so nice to have something ready to go in the freezer. I have very pleasant associations with carrot-raisin salad. It seemed to be on the cafeteria menu often when I was growing up, but my mom never made it. So it seemed to me to be a treat. Carrot-raisin salad has a few variations. i've had it with shredded carrots, raisins, crushed, canned pineapple and/or peanuts, in a dressing of mayonnaise mixed with a bit of honey and a dash of lemon juice. The quantities are roughly 4 parts grated carrots to 1 part raisins, and (optional) a half-part crushed pineapple, and (optional ) half-part peanuts. The dressing for 4-5 cups of salad would be about 1/4 cup of mayo, 1 tablespoon of honey and a tablespoon of lemon juice. The salad is on the sweet side, with all of the raisins. That's probably why I loved it so much as a child. When I make it now, I usually just use carrots and raisins, with the dressing. Maybe Sara's recipe is different. I hope she adds hers, too. Hopefully your boys will enjoy this. Have a good evening, Saryn. I concur with Lili's recipe, except never peanuts (though I like them in other things.) Grated baking (tart/crisp)apple is also a nice addition (and usually cheaper and more likely to be on-hand around our house), if you like it sweet. My DH is a purist, but if I make it when he's not home, I've experimented with some other variations I've found in recipes various places -- adding a little ground ginger or minced candied ginger, or a tiny bit of ground mustard or stone-ground prepared mustard, grating in other crisp veggies like radishes or celery, adding home-grown sprouts, dried cranberries, or dried tart cherries, etc. I've even sprinkled it with a little cracked pepper a couple of times. I've added grated beets, and the taste is good, but it all turns that color. :) I know some people who add a splash of vinegar instead of the lemon juice, but I like the lemon better. 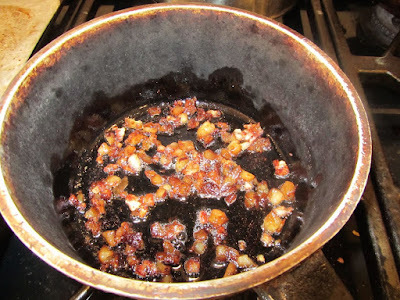 Oh, and you can use sugar instead of honey, if you want-- just a teaspoon or two ought to do it. It's actually a very nice, fairly neutral "base" that you can add to with flavors and additions that suit your family's tastes and/or the flavors in the rest of your meal. I've tried shredded carrot salads that have toasted sesame oil and/or tahini, too; but I like sesame oil and tahini better in other salad recipes. If you don't like mayo/salad dressing, though, it might be something to look for on-line. Thannk you both! I am going to try the base salad with carrots and raisins with the apple option and let it "marinate" in the dressing overnight. Tha pineapple options sounds great too and we will try this as soon as I can get crushed pineapple (for a good price, lol)! FInger crossed that the boys will like this. Kris, I was a little skeptical about the soup originally, because I'm not generally a blended soup person, and this is one of those. But it cooks fast (because veggies cook fast), and with just a couple of batches in the blender, it's ready to go. Did I miss your original soup recipe? When I make it, I add some ground unsweetened coconut, to add a coconut milk flavor and richness. Curry powder has fenugreek in it, which is rumored to be anti-viral. So this is my go-to soup for when I'm fighting a cold or have a cold. And it really works for me. Don't know if you'll be back to notice this, but wanted to say "Thank you!" for posting the carrot-apple bread recipe. Just made it this morning for a treat on a busy day in our family. I had to convert it to gluten-free today, use dried apples, and make one or two other tweaks (I hate when people review recipes they change! ); but the recipe as written seems super-sound, and my results were excellent. The no-liquid approach makes a very flavorful, good-textured loaf. Mine baked fast in a cast iron loaf pan, so I almost wonder if it wouldn't be worth doubling the recipe to get a bigger loaf (not that any of us NEED twice the size of slice, but it's so lovely, I think it would look nicer, even if you cut the slices in half vertically. Thank you, Lili and Sara! Sara--I do find that Averie's recipes are more sugary than what I like, so I scale the sugar back, especially if there are other sweet ingredients. If I remember correctly, she bakes her bread in a 9x5 pan--I prefer the 8x4 because I like my loaves to be higher. I make adjustments so automatically that I don't always think about them and share that information! We are in a high-sugar period of our lives--Halloween is followed by my daughter's birthday, then Thanksgiving and Christmas. Oftentimes I chop up Halloween chocolate candy bars into bits and bake them into cookies for my daughter's birthday snack for school (this is the last year she is in elementary and my last chance to make goodies for her class--sob!). The kids love it and it uses up a lot of candy at once. I thought that my cast iron was 8", not 9", and it still was very, very low. Might have needed a hair more leavening for the gluten-free flours, though normally I don't; but I'd like a little higher loaf. I'll play with it if I make it again. Delicious, though! PS... Great advice about energy conservation. I'm sure it's helpful to your patients. I didn't read the link you provided, but reminds me of the old Spoon Theory website. Are you familiar with that? Kris, It's similar to your gasoline analogy. I believe that the woman who wrote it was an autoimmune sufferer, but it was some chronic, debilitating illness. She was trying to explain to someone about her lack of energy, and she came up with Spoon Theory. 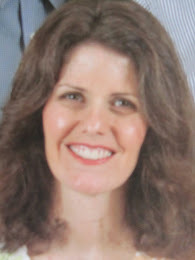 She gave the friend a handful of spoons, and then she went through her day, taking a spoon from the friend for each task in the day -- getting dressed, making breakfast, etc. Then when the friend started running out of spoons, she asked her questions about what she wanted to do the rest of the day. Of course, the friend had lots of ideas; but the woman told her, you don't have enough spoons for that. You have to choose which thing you'll do with your remaining spoons. Anyway, it's better than my description, but if you do an internet search for "Spoon Theory", I think you'll find it. I can't remember for sure, but her website might be "ButYouDon'tLookSick.com" or something like that. I have several friends with AI diseases, and one of them introduced me to it. I've recommended it to a lot of other people since then. Wow. What a moving story. I will use this with my patients. It's good for me to be reminded that good health is not a given and is a wonderful blessing. I work with someone who roasts carrots every day for lunch. They always look so good, so I don't know why they don't make it to our menu very often. I have some cauliflower to roast tonight. I think I'll add some carrots and potatoes that need to be cooked and it will be a roasted veggie night. I love carrots, but I'm the only one so I don't think the big bag of carrots is for us. Yum! Love roasted carrots. You can roast a bunch and keep them in the fridge for about 5 days, if you're the only carrot-eater in the house. Yep! 25 pounds might be a bit too much for one person! I remembered maybe my FAVORITE easy carrot dish. Boil carrots and then you top them with a butter you prepared ahead that has fresh minced rosemary and just a drizzle of honey. MUCH tastier than it has any right to be. :) I try to make it whenever I have some fresh rosemary around. It's lovely for Thanksgiving or Christmas dinner, too. That sounds delicious, Sara. I'll try that soon! Thanks!